In 2015, Mary Lou Kaler of Stable Environment Equine Rehabilitation (S.E.E.R.) rescued four White Shire horses after they were found severely malnourished and abused by their former owner. Pictured above, Gunner, Patsy, Isabelle and Tess were moved to local farm land in East Hampton generously donated by Dune Alpin, where they could recover from their desperate situation and be given a new lease on life. 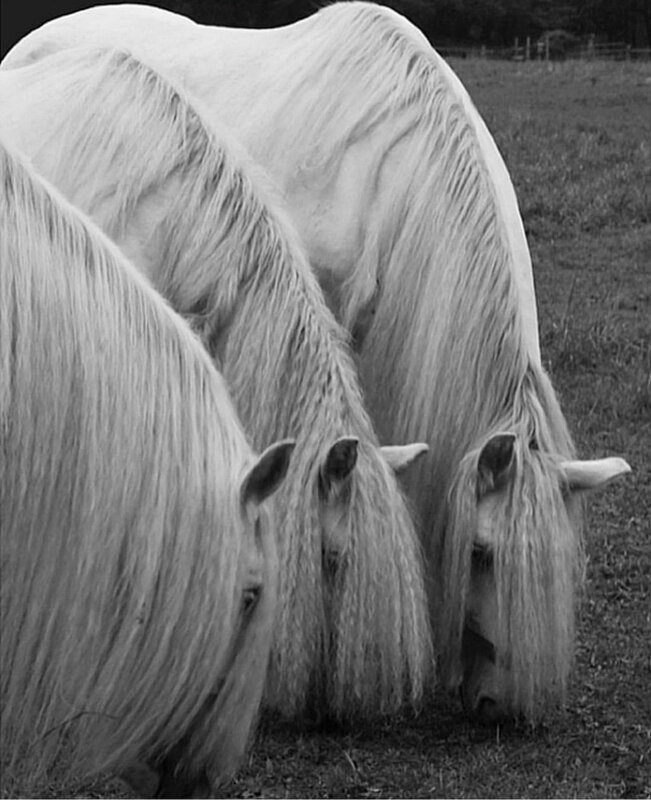 Over time, the four beauties established a strong presence in the area with locals calling them a “blessing for the whole town” and “magical, noble beings.” However, the care and keeping of these horses is no small task with shelter, food and medical needs adding up to thousands a month and no consistent winter housing available. Our Alliance Member and photographer Lincoln Pilcher curated The White Shire series, a collection of portraits of these gentle giants with the aim of raising awareness and funds to finance a permanent home for them at Dune Alpin by building out the existing barn to keep them warm and safe during the colder months. finn2finn Alliance was inspired by this story, and have decided to dedicate our holiday event on December 11th to further spread the White Shire story and raise money for their upkeep and construction of their new permanent home. In addition to Lincoln's photography exhibited at the event, we will be featuring a sustainable, cruelty-free selection of retail brands curated by ethical fashion site WWW.MAISON-DE-MODE.COM. These products will be for sale and proceeds will go to the White Shires. Space is limited. Email kelly@finn2finnalliance if you’re interested in attending.